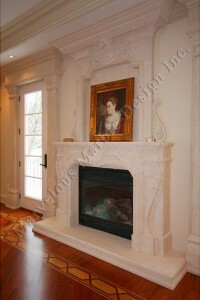 French Mantel Designs will bring a touch of European class to your custom designed home. 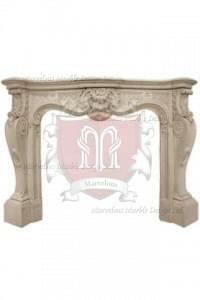 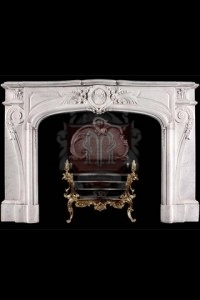 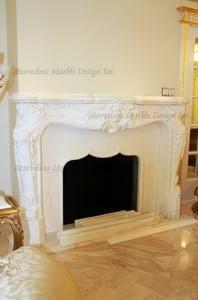 These mantels can be hand carved out of natural French or Italian limestone or marble. 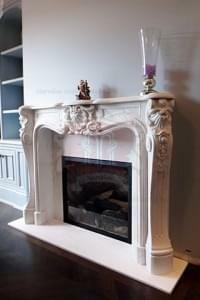 The French designed custom mantels are hand carved by our masons out of natural stone and are custom designed to perfectly fit your dimensions. 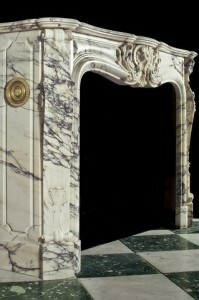 They can be hand carved out of a one tone stone colour or a natural stone with tiger stripes for a bold look. 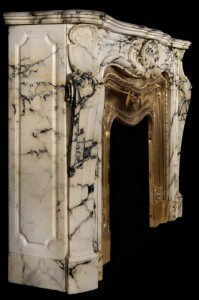 These natural stone mantels can be placed in any custom designed room in your custom designed mansion, such as the living room, dining room, or even the entryway for a warm European look. 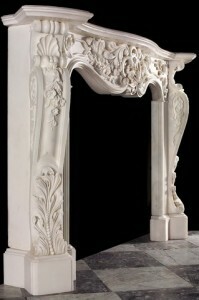 These classic designed custom stone mantels are delicately hand carved to provide the best quality and the most intricate detailing which makes these mantels great statement pieces. 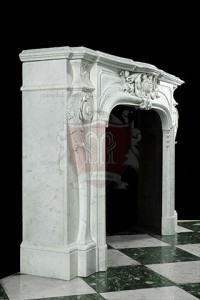 Marvelous Marble Design Inc. can custom design these natural stone mantels to fit your specifications for your custom designed European mansion.